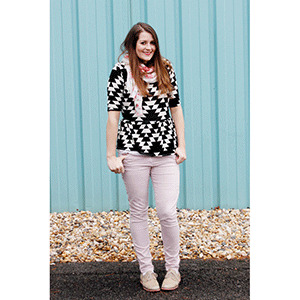 The Penelope Peplum is a WOMEN'S knit top pattern that is quick to sew and flattering on all body types! 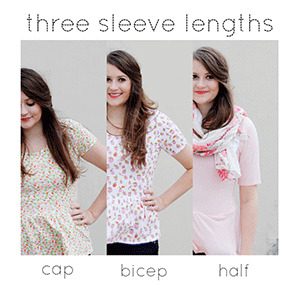 Make it in cap, bicep or half length sleeves. Add a sweet bow for even more variation! 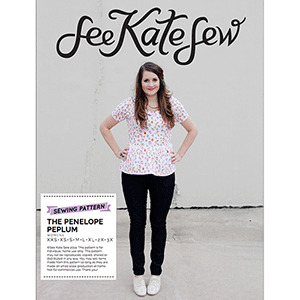 Your closet will be full of Penelope peplums in no time! 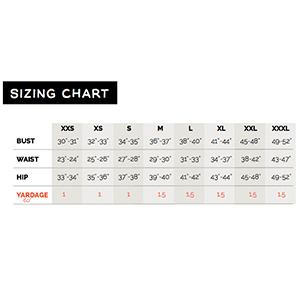 This pattern comes with sizes XXS through 3XL. Suggested fabrics are knits with at least 30% stretch such as ponte de roma, french terry, cotton jersey, and hacci sweater.